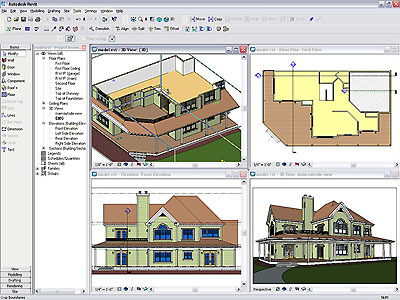 In 2010, Autodesk, the world leader in 2D and 3D design software, acquired the HVAC software assets of Carmel Software including our Design-Build, Duct Size, Estimate, Loadsoft, Refrigeration, Residential, and Green Toolbox products. These tools were acquired to support Autodesk’s vision for building information modeling (BIM) and strengthen Autodesk’s expanding portfolio of sustainable design solutions. Carmel's employees were brought on board to aid in the integration of the Carmel source code into Autodesk Revit MEP to perform building thermal analysis. 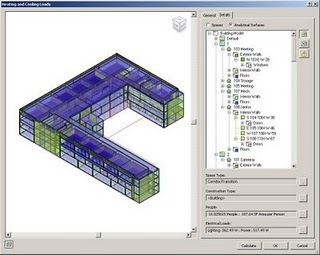 Below are screenshots showing Autodesk Revit MEP 3D architectural and analytical models.